For the first time ever, YPT offers a combo that will take you to both Iraq and Syria. 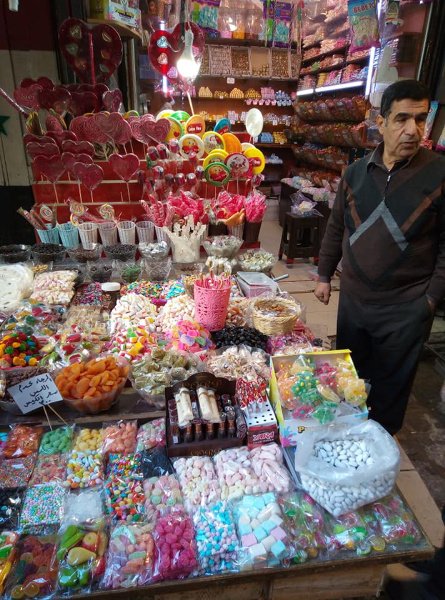 During this combo tour, you will have the opportunity to truly witness what was the forefront of news a year ago by visiting the sites of Southern Iraq, Iraqi Kurdistan and Syria which were on everyone lips. 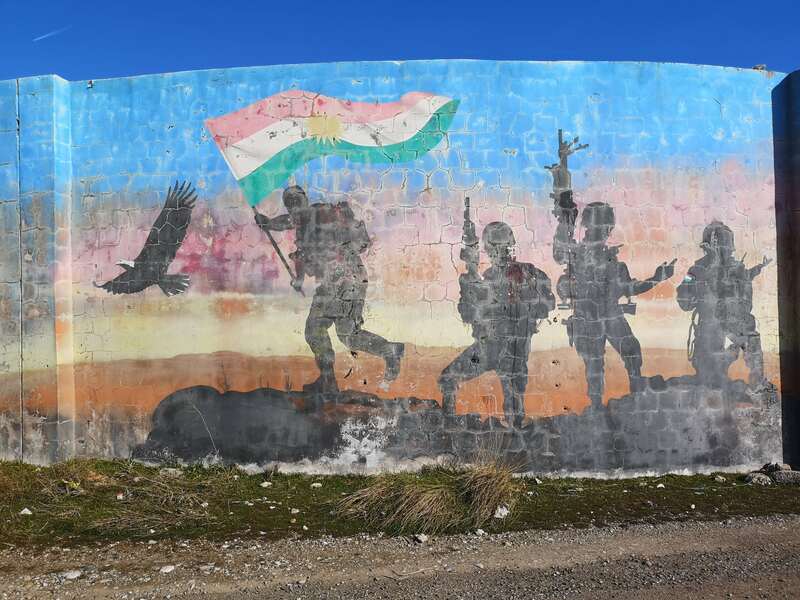 During this tour, you will see the impact of the war in both Iraq and Syria but also learn more about the Peshmerga, who were fighting IS on the frontlines. 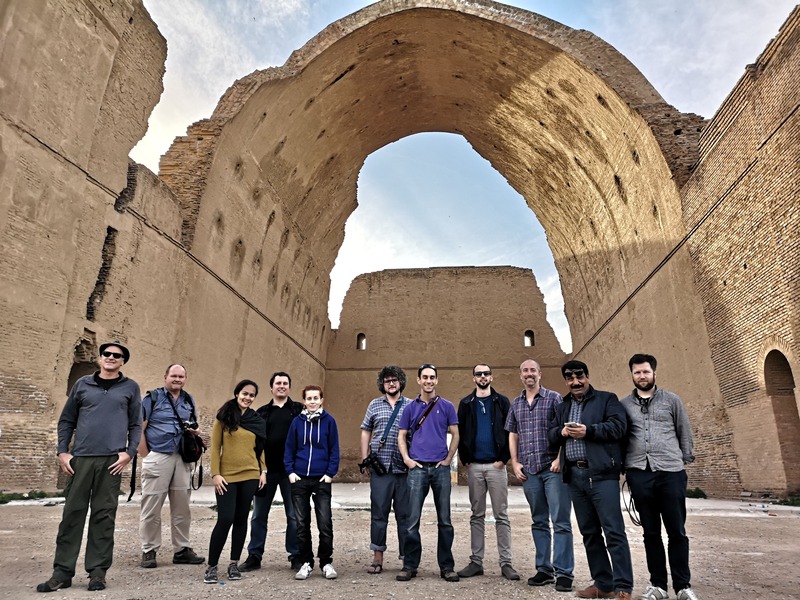 Following the fall of ISIS in 2017, YPT conducted our first ever research tour to Baghdad and beyond in April 2018 and followed up with our first regular tour. It proved to be not only very safe but incredibly informative & fascinating. The area is spoilt with world-class heritage and is completely unspoilt by tourism meaning we will feel like the only foreign travellers in town. Since then, we have been growing more and more ambitious, now offering this ultimate combo. Our tour then continues in Erbil, the capital of Iraqi Kurdistan, a prospective new nation protected by the Peshmerga which was at the forefront of the fight with ISIS until the end of the recent war. Despite its significance and proximity to probably the most important war currently raging, Kurdistan offers not only safety, but beautiful scenery, famed in Middle Eastern literature as a paradise on earth, with more than 3500 archaeological sites, and some of the most friendly and welcoming people on earth. The trip takes us to the world’s only Yazidi shrine at Lalish (40 KM from ISIS territory), before heading north to Duhok, the Saddam palace, Amadiya, and then looping around and heading south to Sulamaniyah, and back to UNESCO World Heritage Site, Erbil, checking out lots of cool sights in between. Back in Erbil, we then fly to Lebanon’s vibrant capital, Beirut and from there will make our way to Syria the next day. 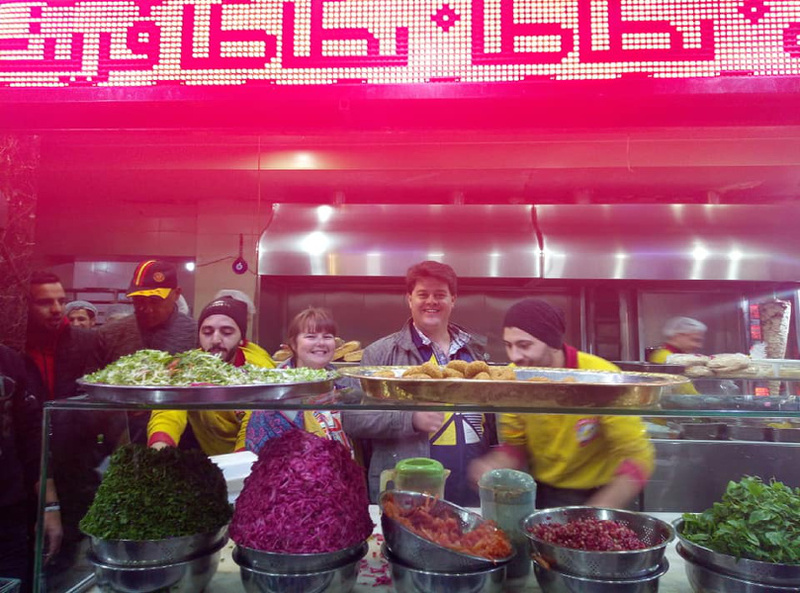 This tour is your opportunity to see Syria at a unique point in its history. Until the recent war, the only thing most people knew about Syria was Palmyra and maybe the Krak des Chevaliers, and now Syria’s famous but for all the wrong reasons. But guess what – there’s a lot more to it than you’d expect! 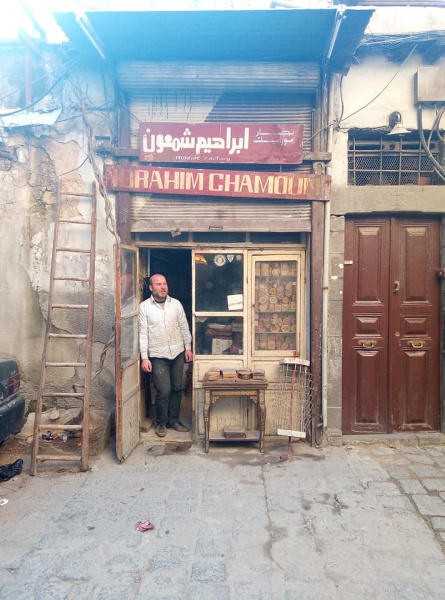 Starting with the buzzing old town of Damascus, the streets of which are lined with cool bars and cafes, and young locals smoking shishas and drinking cocktails, we’ll make our way to the war-torn old town of Aleppo, stopping on the way at charming coffee stands and destroyed villages. Shrouded in a coat of destruction, we’ll then visit Palmyra, which now requires special permission to get into, but despite its tragic recent history, is still a breath-taking site. 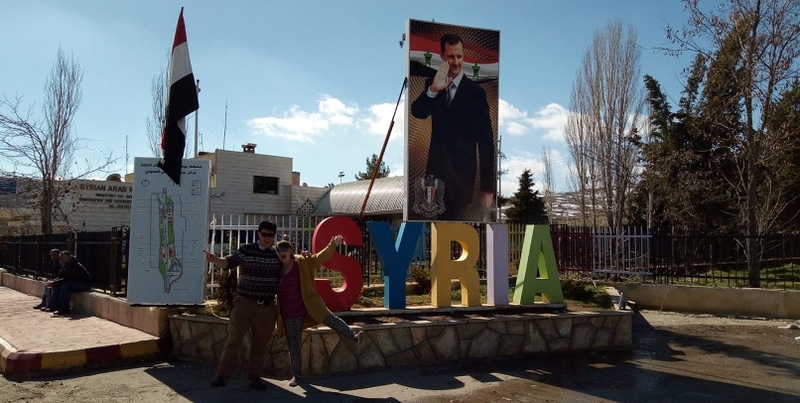 A couple of Assad souvenirs, an afternoon relaxing in a hammam, and no doubt some genuine Syrian hospitality later, we’ll return to Damascus, before ending the tour in Beirut. 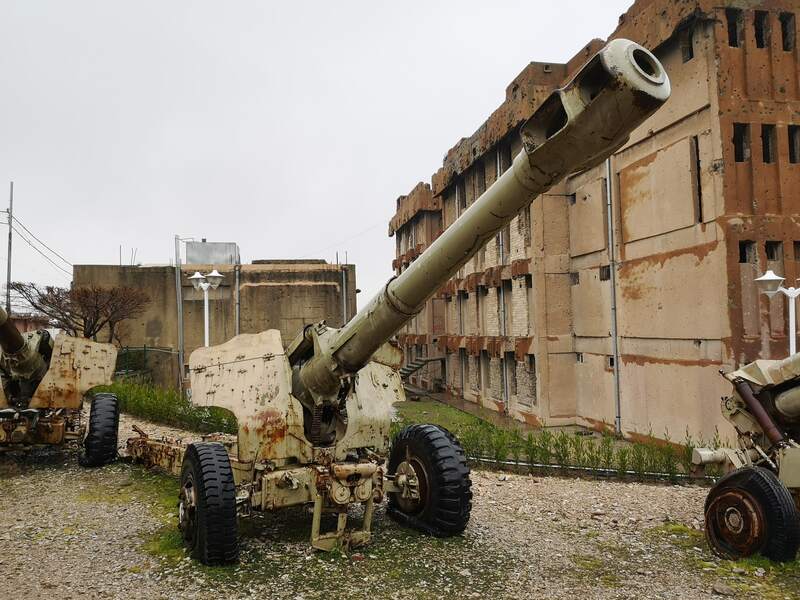 For a full-on combo and a complete incursion in the recent war for the Middle-East, why not join our Southern Iraq tour which takes place just before our Iraqi Kurdistan Tour for additional discounts? Book this combo and your flights between Baghdad and Erbil, Erbil and Beirut as well as your accommodation in Beirut are included! Those expenses are excluded for those who join only one of the three tours. The MEA Erbil-Beirut direct flight often books out well in advance so please make sure to book this tour at least two months before the starting date. If the flight is booked out, YPT reserves the right to change the price of the tour to reflect changes in airfare. Meet your tour leader at Istanbul Ataturk airport before we depart on the 11am Atlas Global flight direct to Baghdad. Arrival and meet up with our local guide and fixer who will give an introduction on travelling in Iraq and a breakdown of the itinerary for our stay. We also meet our fellow pioneers coming from Iran! Dinner at a local restaurant with an incredible spread of tasty food. Walk through the adjoining copper market. A wonderful place for photography and our only souvenir stop! Back to Baghdad for more sightseeing. A visit to Baghdad can’t be complete with a visit to the Flying Carpet Monument, Alibi Baba and the 40 thieves’ monument and the Magic Lamp monument. 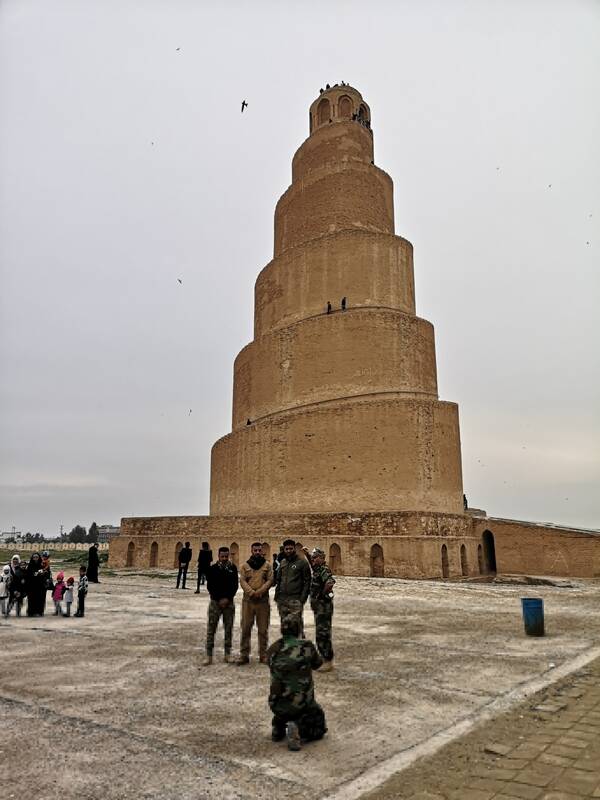 Samarra is famous for its Minaret (also known as the Great Mosque of Samarra). We will climb the spiralling staircase all the way to the top for the 360 degree view. Not for the faint hearted! Drive back to Baghdad and head straight to Abu Ghraib. No not to the prison which is long gone but its abandoned and ancient site of Agargouf Ziggurat. TRIP HIGHLIGHT – We are there on time for the Friday procession, where we will see hundreds of believers march and chant together. We drive to Najaf, the third holiest city in Shia Islam. 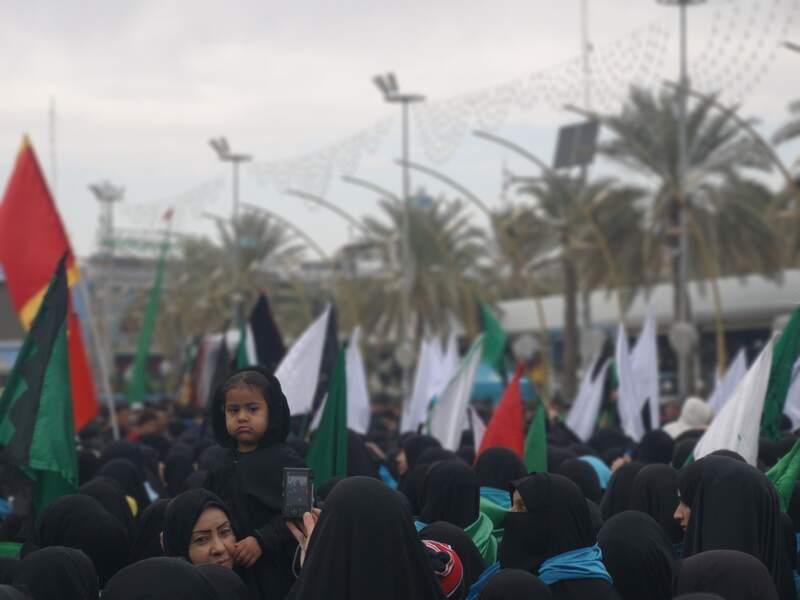 We’ll take in its most important site – the Imam Ali shrine – similar to this morning, we should see some extremely zealous followers chanting and dancing. Just like most places in Iraq, Saddam Hussain also built a grand palace in Basra which we will be able to see from our cruise. Today it has been turned into the headquarter of one of the local militias. The Al Shaheed Monument is the martyr’s memorial spot for people who died during the Iran-Iraq War. These days it’s a highly controversial monument, as it was originally built during the Saddam era. If we’re lucky, we might get inside the museum under it! We begin the day nice and early for the two-hour drive to Lalish. 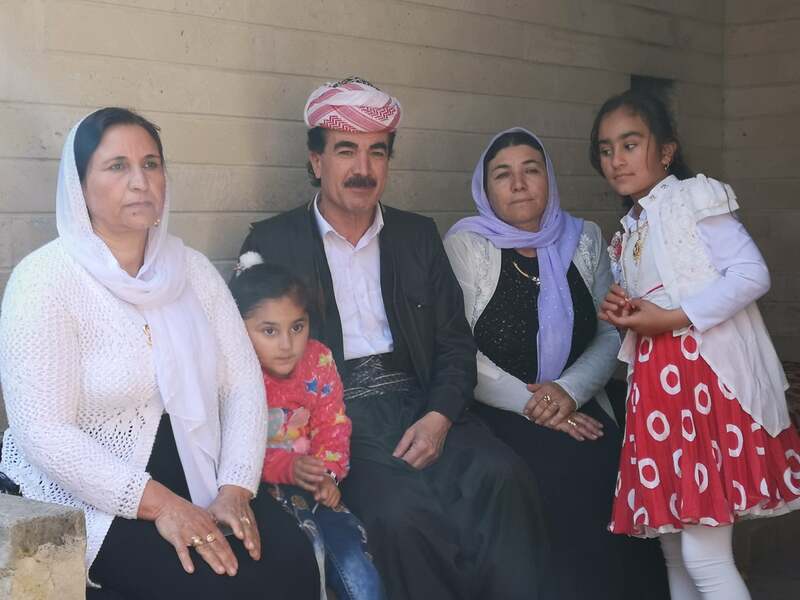 This is the most sacred town for the Yazidi people and is extremely interesting. We sometimes encounter Peshmerga along the trip and may have the opportunity to engage in an interesting conversation about the recent war with ISIS. Our next stop is at one of the world’s oldest churches built into the mountains in Alqosh. Alqosh is technically part of Mosul and Iraq “proper”. In the morning, we head to Amadiya, an ancient Jewish city and then to Sarcinc, home to one of Saddam Hussein’s former mountaintop palaces and is truly an amazing site. We spend a few hours exploring and admiring the breathtaking views. Following lunch, we embark on one of our longer journeys: the four-hour drive to Rawanduz. Stopping along the way for pictures at the Neanderthal “Shanidar Cave” – one of the most important caves of its kind in the world. We will enjoy refreshments here as well. Overnight in Rawandas in our own cottages for a little cottage party! Free morning to explore Sulaymaniyah with a visit to the famous “Red House” where Saddam imprisoned and tortured thousands of Kurds. We again hit the road, this time back to Erbil, but instead of taking the short cut, we head through the scenic route, visiting villages and stopping by the ruins of a caravan-serail. Lunch in a fishing village. We head to the airport to catch our flight to Lebanon at 5.00pm. Visit ttwo of the world's greatest ruins: The ruins of Babylon and well as the ruins of Palmyra!